Search for the best flight prices from Manchester to Gibraltar. Compare prices, book today and save money with Manchester Airport. Gibraltar is a little rocky slice of home that juts out into the Med off the southern tip of Spain. This last remaining chunk of our once mighty Mediterranean empire, known locally as, The Rock, is home to a population of 28,000 humans and 230 apes, not to mention an airport with one of the most incredible runways in modern aviation. 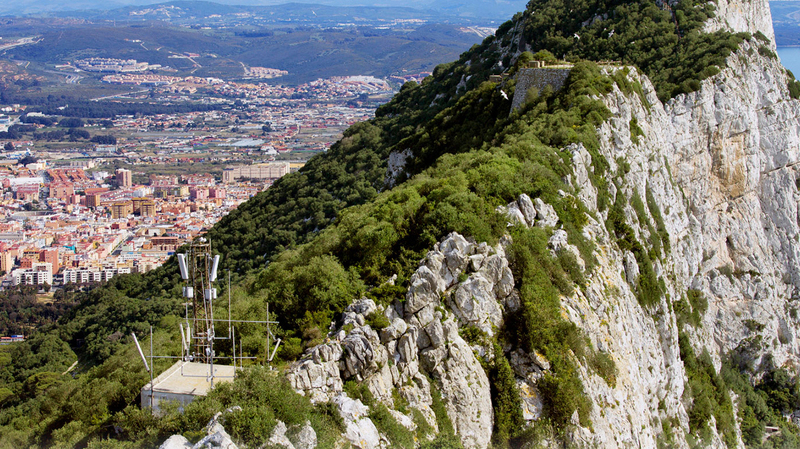 Go and explore Gibraltar, inside and out. Gibraltar has a fairly limited selection of hotels, apartments and guesthouses, with the plushest including places such as the fantastic four-star Caleta Hotel Self-Catering Apartments (Sir Herbert Miles Road) and the city-centre O'Callaghan Eliott Hotel (2 Governors Parade), both of which have great views over the brilliant blue of the Gibraltar Strait. The Queen's Hotel (1 Boyd Street) is a simpler choice, situated close to Alameda Botanical Gardens and Gibraltar's cable car. For an even more budget stay, try Hostal Carlos I (6 Carboneros), a short walk over the border, with basic rooms and bargain prices. Gibraltar is a VAT-free jurisdiction so goods sold here offer fabulous, tax-free value. The currency is the Gibraltar Pound, equivalent to Sterling, which also means no charges on foreign exchange, for those travelling from the UK. The best buys are cosmetics, perfume, jewellery, tobacco and spirits, designer glasses, specialist linens and electronics. The chief commercial area is around Main Street and Grand Casemates Square. You can shop for elegant, innovatively designed glassware at Gibraltar Crystal (Grand Casemates Square), while many expats flock to the territory to pick up the tastes and goods of home at stores such as Marks & Spencer, Morrison's and Mothercare. With everything from cream teas to tapas, Gibraltar offers traditional English roast dinners, as well as a wide mix of Spanish, French, Indian, Chinese and Moroccan (a reminder that North Africa is very nearby) cuisines. Many restaurants have balmy outdoor seating areas and some have sea views. In Casemates Square, you can eat Moroccan and Italian dishes at Cafe Solo (Unit 3 Casemates Square); La Mamela (Catalan Bay) is recommended for its superb seafood; Biancas (6-7 Admiral's Walk, Marina Bay) is another top choice by the marina; while La Parrilla (17-18 Watergardens) receives plaudits for its Argentinian, Spanish and Portuguese cuisine in smart surroundings. Held around Epiphany (6 January), this colourful procession accompanied by bands makes it way along the main streets of Gibraltar. Sweets are thrown into the waiting crowds. National Day celebrations start on 10 September with a street party, followed by a lively food fair and the splendid Governor's parade through the city. As a finale, thousands of red and blue balloons are released. This music festival took place for the first time in 2012, featuring big-name pop stars like Jessie J, as part of the National Week celebrations which centre on the National Day parade. This celebration of jazz involves gigs by international names, such as Elie Massias, Kirsty Almeida, The Troubadours and The George Posso Trio. The festival also has workshops and free outdoor performances. Brave or foolhardy locals and tourists take a dip in the cold waters of Gibraltar's Catalan Bay and then warm up with a seasonal feast of mince pies and mulled wine.